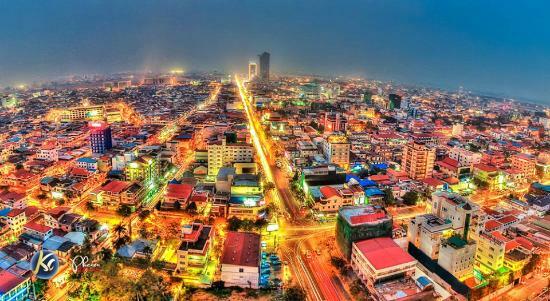 Phnom Penh, translated in English to “Penh’s hill,” is named after the Wat Phnom Buddhist temple that has stood high atop the city since the 14th century. 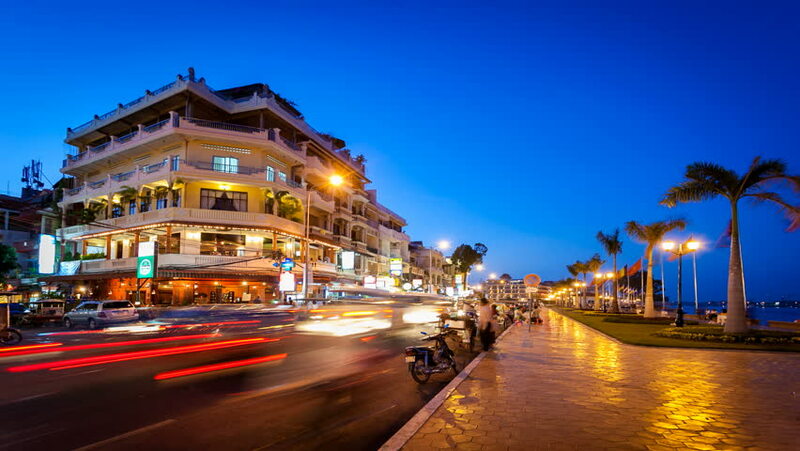 It is the capital of Cambodia, and is located on the banks of the Tonlé Sap and Mekong River, serving as the country’s economic, cultural and industrial center. The city was once called the Pearls of Asia, because of its lovely French architecture from the colony times, so make sure to be on the look out for it! Have you ever heard of a Tarantula Kebab? In Cambodia it is a very popular food item that you are likely to come across in Phnom Penh. It may not look very appealing, but if you like chicken, you’re in luck! It is said to taste something similar to chicken or cod. A tarantula kebab is worth the experience, but if you don’t feel like trying something that exotic, there is so much more Cambodian cuisine to uncover- just be sure to avoid searching for a McDonald’s because there are none! 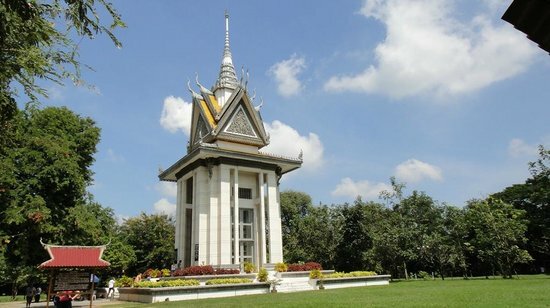 Phnom Penh is a city of numerous stories, and to hear one of those stories you should make a trip to the Choeung Ek Genocidal Center. This place, often called the “Killing Field,” tells the story of when two million people were killed after the Pol Pot-led Khmer Rouge took over the country. Almost 9,000 bodies were discovered at the graves of Choeung Ek, which now serves as a memorial, featuring a Buddhist stupa filled with 8,000 human skulls. You can walk around the exhumed graves and learn about the event through a headset guided tour. 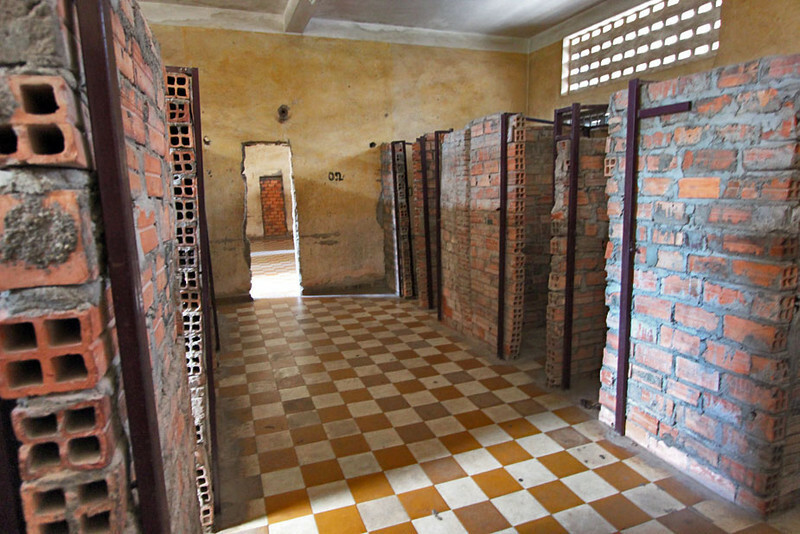 The Tuol Sleng Genocide Museum, located in the center of the city, is also a place of story telling in Phnom Penh. The museum served as a former high school before being transformed into a prisoners’ camp during the Khmer Rouge reign. To shake off the heavy topics and tragedies coming from the Genocidal centers, visit the Wat Phnom, a symbol of the kingdom and the king’s residence. In the palace you will find the Silver Pagoda, or the temple of Emerald Buddha, which gets its name after the beautiful green floor, filled with five tons of gleaming silver. The Emerald Buddha – the main attraction of the palace – is a magnificent Baccarat-crystal sculpture sitting atop an impressive gilded pedestal, with a life-sized golden Buddha adorned with 2,086 diamonds. Pretty fancy right!? The place was conserved to show the world the riches and culture of Cambodia. 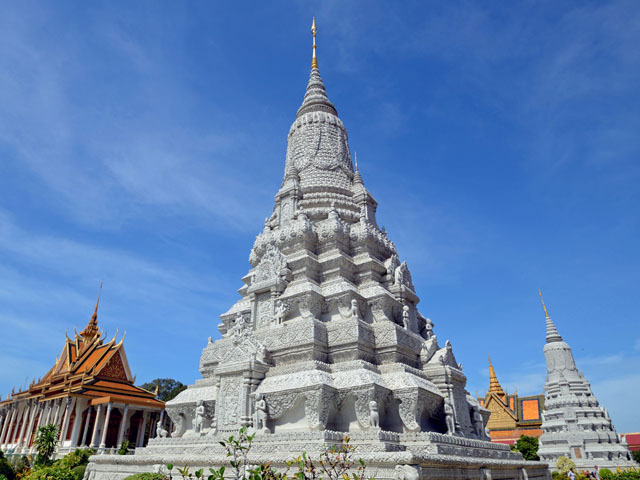 If you want to learn more about the Buddhist culture in the city, visit the Wat Phnom Temple – the temple that gave Phnom Penh its name – a tranquil retreat in the center of the city. Wat Phnom has a small park with a pagoda perched on the top of a small hill. The site is considered very sacred among Cambodians, but be aware- the monkeys living around the Wat Phnom Temple are known for stealing food! Another fun and educational place to tour in Phnom Penh is the National Museum of Cambodia, which sits directly next to the Royal Palace. This museum features more than five thousand artifacts dating back to ancient times. Don’t miss out on the Phsar Thmei Central Market, a daily part of life that features a unique art-deco. In this place you will find food, jewelry, souvenirs and much more. The market is a great place to spend time; even on the hottest days it’s cool and comfortable, and who doesn’t want that when they are trying local food and experiencing the Cambodian culture? Last but not least, after a long day of exploring, take time to visit the riverside at dusk, a great place to view the Tonle Sap and Mekong River while relaxing at a nearby restaurant or bar.